Today is a happy day for us here at Author 2 Author Magazine. 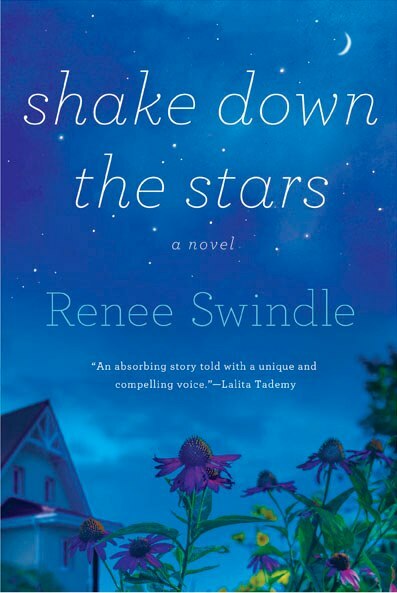 After nearly 13 years away from the book scene, Renee Swindle the author of Please Please Please is finally releasing her next novel ‘Shake Down the Stars‘. When you’re in trouble and sinking fast, whom do you call? Piper Nelson is stuck. She can’t quite stay away from the husband she divorced. She isn’t always attentive to the high school students she teaches. And even she admits that she’s been drinking too much and seeking out unsuitable men. Piper’s mother, married to a celebrity evangelist, and her sister, who’s immersed in plans to wed a professional football player and star in a reality TV show, are both too self-absorbed to sympathize with Piper’s angst. They tell her to get a grip. But how can Piper ever really recover from the blow she suffered five years ago, when a car accident took the life of her young daughter? When Piper’s ex-husband announces that his new girlfriend is pregnant, Piper is forced to take stock. Realizing that it’s time for a change is one thing, but actually making it happen is quite another. And despite what she thinks, Piper can’t do it alone Lucky for her, a couple of crazy, funny new friends are ready to step in when she needs them most and show her how to live and laugh again.